With Spring upon us, nature is awakening. 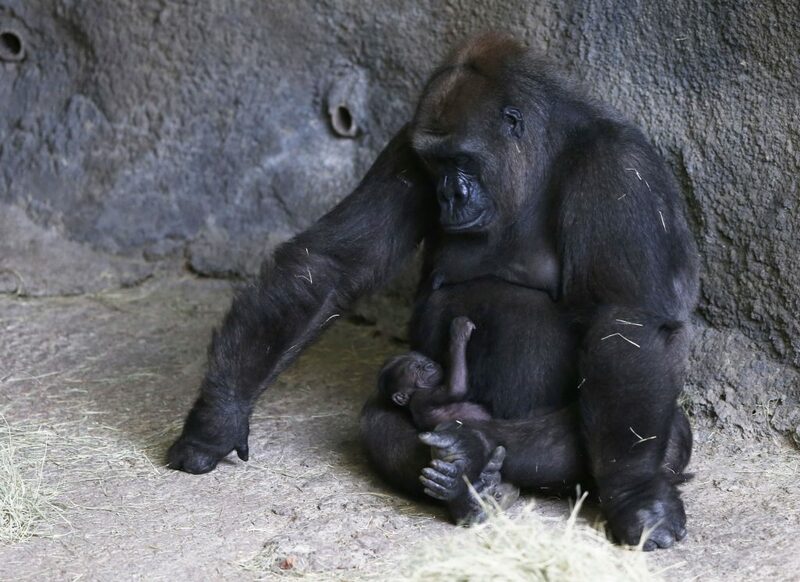 Dallas Zoo in the US has just welcomed its first new-born gorilla of 2019. The officials recognise that the young animal will attract hordes of visitors and are taking the opportunity to boost phone recycling. Most people take out their phones to capture their favourite exotic animals when they visit a zoo. At Dallas, visitors can now drop their old phones into a special collection box installed at the gorilla compound. The reason? The mining for precious metals for consumer electronics has had a significant impact on the number of gorillas living in the wild. ‘If you look at gorilla populations over the past 15 years, we’ve seen almost a 25% decrease,’ says Matt James, Dallas’ senior director of animal care. That’s why the has zoo partnered with recycling firm Eco-Cell to try to get back as many ‘unwanted’ phones as possible. The scheme was launched as the baby gorilla (born 7 March) was first presented to the public. The project will optimise reuse and recycling, as Eco-Cell has a strict no-landfill policy. James sees the initiative as a perfect example of a closed loop. ‘We can get those precious metals out of all those devices and reuse them rather than going back to gorilla habitats and destroying their habitat to mine for more metals,’ he argues. At the moment, Eco-Cell collaborates with more than 35 zoos in the US to collect used phones. Since its launch in 2003, the recycler has processed over one million handhelds. An estimated 1.5 billion smartphones are sold worldwide annually, Eco-Cell points out. It cites figures by the US Environment Protection Agency saying that fewer than 20% of unwanted mobile phones are recycled each year. Meanwhile, roughly half a billion smartphones are ready for recycling in America alone, a total growing by more than 11 million phones annually. First glimpse: the newborn gorilla has yet to be named (see video).